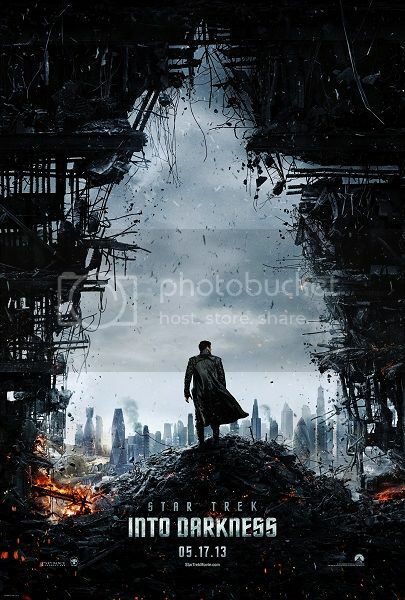 While Star Trek Into Darkness may be a slight disappointment at the box office, it is anything but a disappointment as a movie. Paramount was handed the keys to the box office kingdom, and they dropped them. 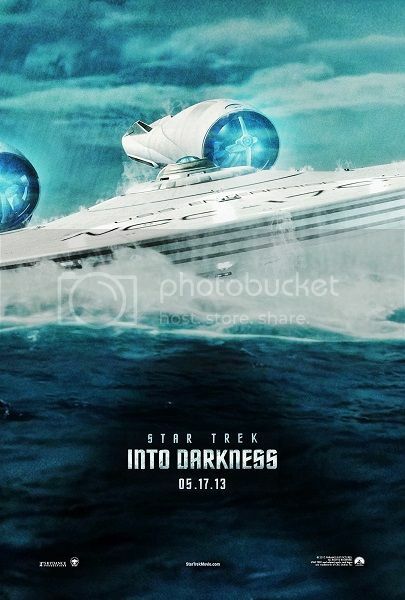 Instead of coming up with an inspired ad campaign to promote Star Trek Into Darkness they came up with a generic Sci-Fi Action Movie campaign that made Into Darkness look like just another big, dumb action movie (similar to the recent Transformers movies, for example). No wonder moviegoers were skeptical about the newest entry in the long running series. Sadly, those who haven't gone to see Into Darkness have missed out on one of the best summer thrill rides in recent years. Better than Iron Man 3 by a significant margin, Star Trek Into Darkness is amazingly entertaining and is actually fairly intelligent at the same time. And while, yes, it IS big, and it DOES feature a ton of action, there has been a lot of thought put into this movie. And, wisely, the creative team of Producer/Director J.J. Abrams and writers Roberto Orci, Alex Kurtzman, and Damon Lindelof chose to take the previous second entry in the Trek movie series and turn it on it's ear. To say that the plot from that movie has been used as a starting point and then turned inside out using the original TV series episode it sprang from was a stroke of, well, not genius but a very good idea. Yes, the bad guy IS Khan, by now for most fans that is no surprise. The surprise is how they handle Khan. This isn't the Khan we saw in Star Trek II. This is more of the Khan we saw in Space Seed, the first season episode of the original Star Trek TV series, before he became bitter, angry, and resentful towards Kirk. The events that made him the Khan of Star Trek II have never happened, so this is Khan, the clever, somewhat charming warrior and would be world leader. And as played by Benedict Cumberbatch we've got one heck of a Khan on screen. This is Khan as originally conceived, something we couldn't get in Star Trek II (and that's fine - Star Trek II remains the best Trek movie largely because of the characterization of Khan on the page and as brought to life on screen by the late Ricardo Montalban). Chris Pine still seems like a younger, more immature version of Kirk. Kind of the 90210 version of Kirk who has yet to fully grow up and become the Kirk millions of fans came to know and love back in the 1960's. And yet, his Kirk is still very charismatic and very appealing anyway. Zachary Quinto's Spock is the perfect foil for Kirk - the yin to Kirk's yang. The equal and opposite. They have great chemistry together, making them worthy successors to William Shatner and Leonard Nimoy. As far as the plot goes there are twists and then twists on twists, some of which you'll see coming, some of which you won't, but it's all handled very well by the writers and J.J. Abrams. 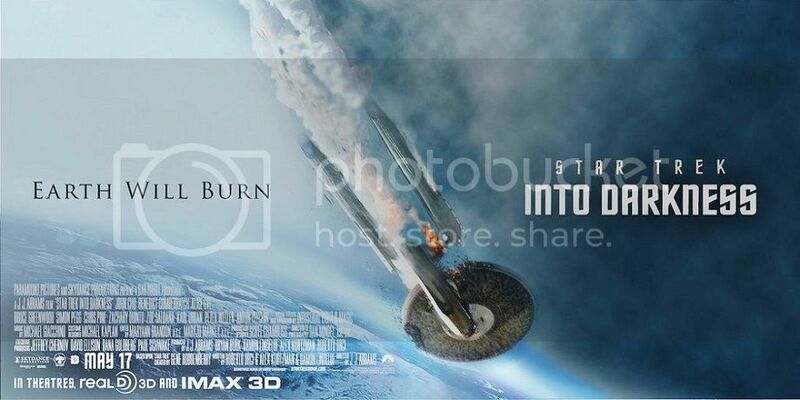 And speaking of Abrams, his direction on Into Darkness is excellent. He was the perfect choice to direct the next Star Wars movie, and if he continues in this style he could very well deliver the third best Star Wars film. Here, Abrams manages to update the look of the original Star Trek TV series, infuse it with a dash of the 1980's movies, and then update it for 2013 sensibilities (after all, technology in our time has grown exponentially, and as such what we expect the future to look like has grown as well - and on that count Abrams does a pretty good job, with the help of his production designer and special effects people). Sure, Into Darkness does have some flaws, but they are pretty minor, making the movie a huge success as a piece of pure entertainment. While it may not be as thoughtful as Trek has been traditionally (and neither was the previous movie,) it is a superior movie to the 2009 reboot.